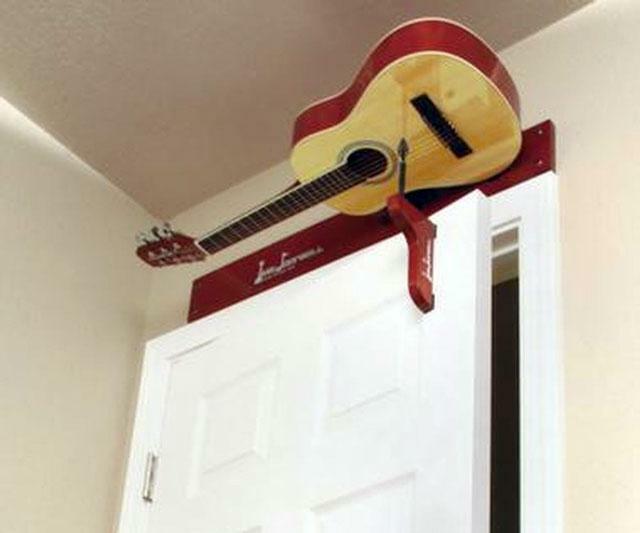 The Guitdoorbell replaces irritating bing-bong! 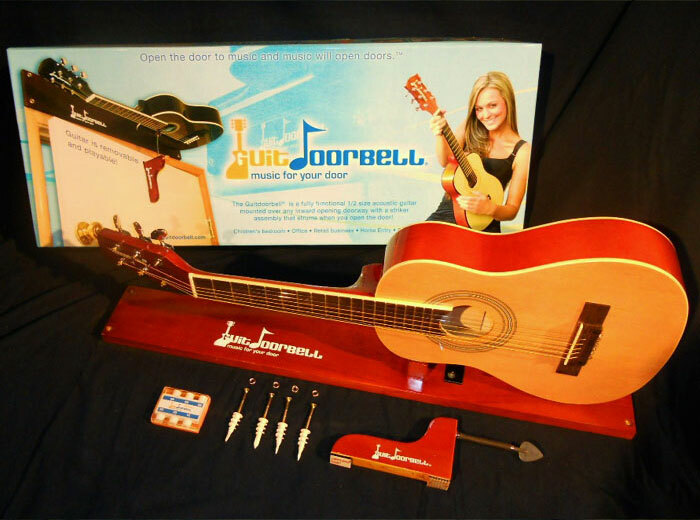 door chimes and refrains of "It's a small world" with the rich, resonant strum of a real acoustic guitar. 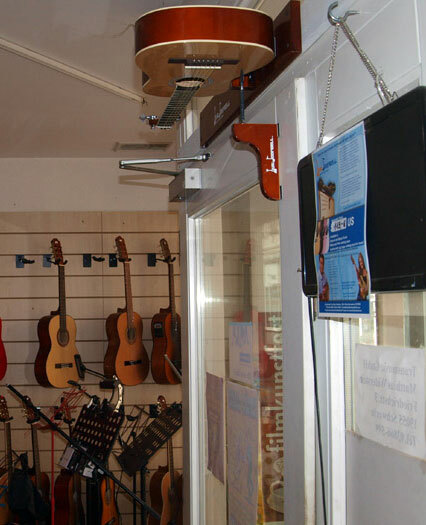 Mounted face-down over a doorway in tandem with an underlying plectrum striker, Guitdoorbell will play a chord each time the door swings open and shut. 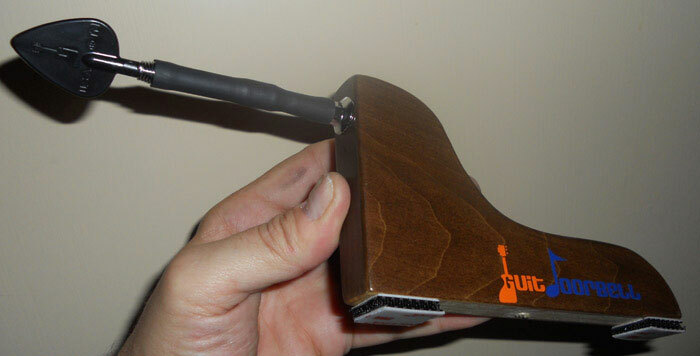 Users can tune the Guitdoorbell however they like. And since the system's primary component is a fully functional half-size acoustic guitar, they can also dismount it from its post to conduct impromptu singalongs and performances of "The Gambler" at will. 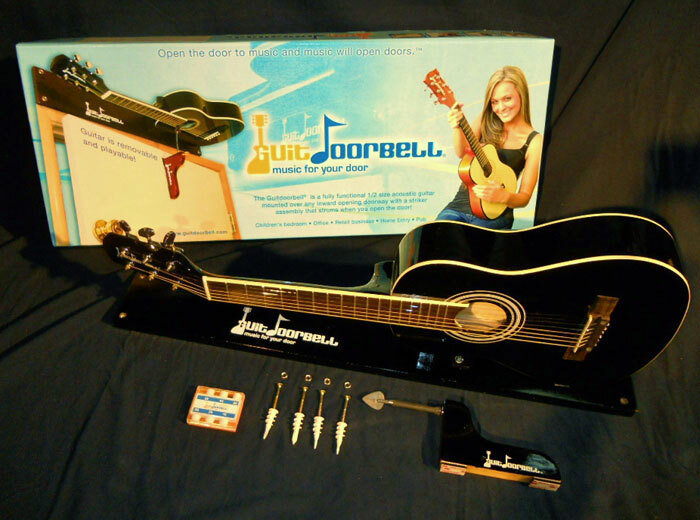 The Guitdoorbell is a top Dude Gift for a Musician pick.